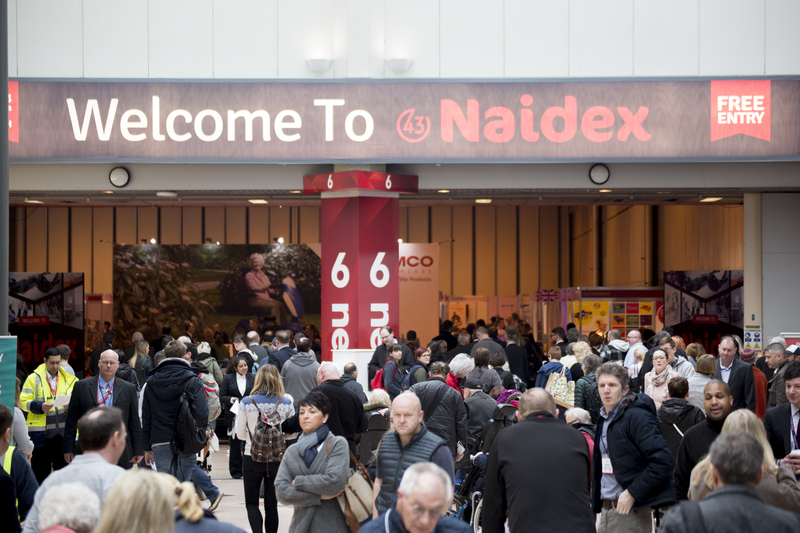 Naidex, Europe’s leading event for healthcare professionals, will be returning to Birmingham’s NEC on the 25th & 26th April for a monumental 44th edition. With a floor plan double the size of last year, the introduction of brand new interactive features, and even more unmissable seminars, product launches and live demos, there are more opportunities than ever for delegates to get involved, test products and discover the future of the healthcare sector. The Moving & Handling Lab is a brand new feature which will provide healthcare professionals and carers with two full days of interactive training, to ensure the safest and most dignified support and transportation of people with disabilities and special needs. The Lab will also showcase the most progressive patient handling equipment and technology available in the world. In addition to new features, Naidex will for the first time ever, run alongside the Dementia Care & Nursing Home Expo, the only exhibition in the UK that focuses on business growth and improving overall care for residents. The show is set to welcome an impressive 300 industry-leading exhibitors to the floor, from all areas of the healthcare and rehabilitation sectors. Discover the latest equipment, watch live demos and talk to the experts from Ardoo, Novacare, Linet, Multifit, Proactive Mobility and many more. This year will examine the topics which are currently shaping disability, as well as providing comprehensive insight into the future of healthcare. Among this year’s 200 speakers, you’ll find the Minister of State for Disabled People Work and Health; National Clinical Director for Older People and Person Centred Integrated Care at NHS England; Managing Director of A1 Risk Solutions and Executive Director of the National Care Forum, to name a few! Naidex promises to deliver an unbelievable two days, boasting exciting interactive features, incredible networking opportunities, captivating demonstrations and, best of all, it’s completely free to attend! Register for your free ticket at naidex.co.uk. For sponsorship and exhibiting enquiries, contact paige.lewin@prysmgroup.co.uk or call 01179902092.